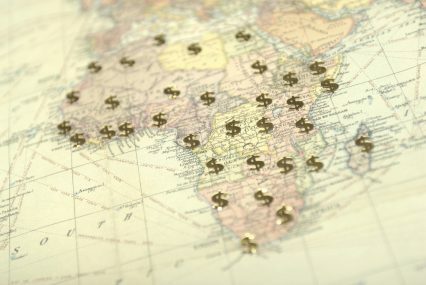 The African Export-Import Bank (Afreximbank) has introduced a new trade finance confirmation programme, which will see it take direct risk on African banks by confirming letters of credit issued by them on behalf of African importers. Launched under the name Trafinco (an abbreviation of ‘trade finance confirmation’), it is described by Afreximbank as an ‘uncommitted short-term revolving trade finance confirmation facility’ that will enable African importers to do more trade transactions with regional and international counterparties using documentary credit. Under the programme, Afreximbank will cover up to 100% of the risk on a letter of credit, which will be reviewed on a case-by-case basis, and up to 180 days. This in essence means that exporters into Africa will be provided with assurance of payment irrespective of whether the LC issuing bank honours its obligation. Afreximbank says in a statement that the programme is being offered “in response to the increasingly stringent compliance and regulatory requirements being imposed by international banks on African banks for trade confirmation lines”. Risk capital and capacity constraints, it says, have resulted in international banks reducing or withdrawing trade lines to African banks, a movement often referred to as “derisking”. Trafinco is structured to address this particular challenge, enhancing the confidence of counterparties in the settlement of international trade transactions for intra and extra Africa trade and improving correspondent banking relationships. The programme was recently presented to executives from 24 Egyptian banks, many of whom expressed interest in participating, seeing the potential to grow their trading volumes, particularly with African counterparts, the banks says. Afreximbank will offer the programme to banks in 10 other African countries, including Senegal, Guinea, Ghana, Sierra Leone, Rwanda, Tanzania, Cameroon, the Democratic Republic of Congo, Mali and Burkina Faso. Trafinco is part of a range of initiatives that Afreximbank is currently launching to increase the continent’s share of global trade. In July, the bank rolled out Mansa, a new customer due diligence platform, which seeks to provide a single source of primary data required for banks to conduct know your customer checks on counterparties in Africa. Speaking to GTR earlier in the year, Afreximbank president Benedict Oramah said that Mansa will “significantly reduce the cost of compliance”, adding that he hoped the platform could bring about the return of the international commercial banks to finance trade on the continent. He also said Afreximbank is close to launching its new Pan-African Payment and Settlement Platform, which will facilitate the clearing and settlement of intra-African trade transactions in African currencies. This will significantly reduce the dependence on US dollars and other hard currencies in the settlement of regional trade.